SAIT Polytechnic in the Calgary, Alberta, Canada area, is the ideal venue choice for a business or sales conference, or meeting. As a poly-technical school, you'll have access to their state-of-the art communications facilities, while enjoying some of the most breathtakingly scenic views in the entire world! With the magnificent Canadian Rocky Mountains as your backdrop and this wonderful, capable facility and staff, you can count on an impressive event that will long be remembered! Talk about convenient! SAIT Polytechnic is just 15 minutes from the Calgary Airport, and a mere 10 minutes from downtown Calgary! 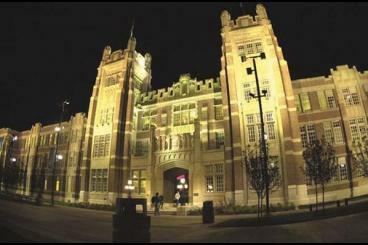 With such a central event venue location, this rich campus' modern facilities, great food services, and incredible vistas, the SAIT Polytechnic truly is a unique venue! Housing is available during the summer months, from May through August, in hotel, suite and apartment settings. Additionally, there are hotels nearby, as well as residence halls with semi-private bathrooms. All-told, these Calgary event facilities can provide meeting space for up to 2000 people at once, and 1100 overnight guests. Classrooms all offer high-speed internet, and training rooms feature interactiveSMARTboards as well as remote pointers, and a ceiling-mounted projector. Food services include both group meals and custom catering, including special diets. These delicious meals and snacks are made by students supervised by instructors and chefs, to ensure a delightful, yet affordable and memorable dining experience for your group. Chartwell's Catering Services are available for small groups of up to 10 in an informal environment, or a htousand for a full course meal. If you like, they can even prepare a picnic! Old World stately, with towering ceilings and grand architecture, combines with new-world modern in this truly unique venue which enjoys both the Rocky Mountains and the city of Calgary's skyline as backgrounds. There's simply no two ways about it. SAIT Polytechnic is a superb venue and an outstanding choice for any business occasion.